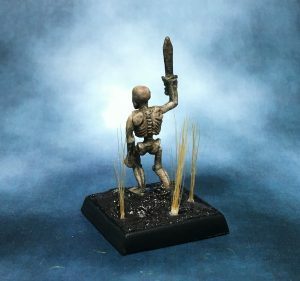 This is yet another of the undead from the Grenadier Monsters box set. I attempted to do something a little more interesting than the usual plain pale tan or sand colors for the bone. I’m not sure if the various colors come through in the finished piece. 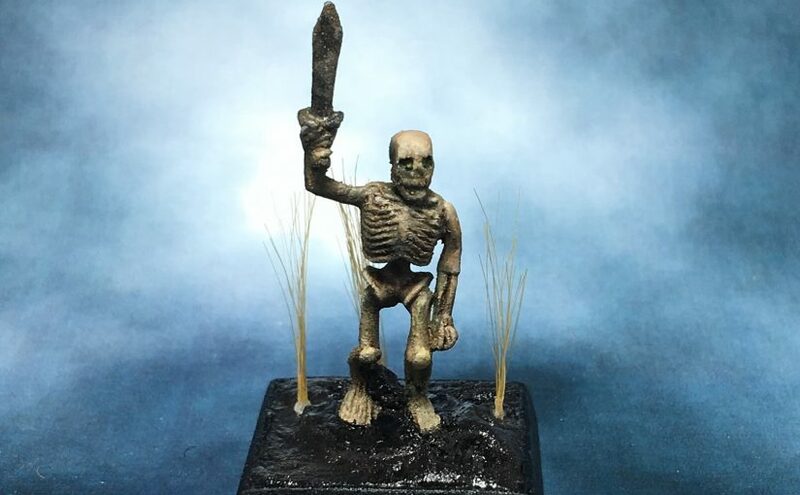 This mini continues the theme of the undead in the set having their right hands raised, though with the sword, it makes a little more sense for this guy. I put this guy in some soggy wet mud, which I kinda like.